The Black Casio SE-S100 has 12 programmable department keys (24 Using a shift key), Customer Display, Full Sized Cash Drawer & SD Card Slot for Programming, Sales & Journal Data Backup. 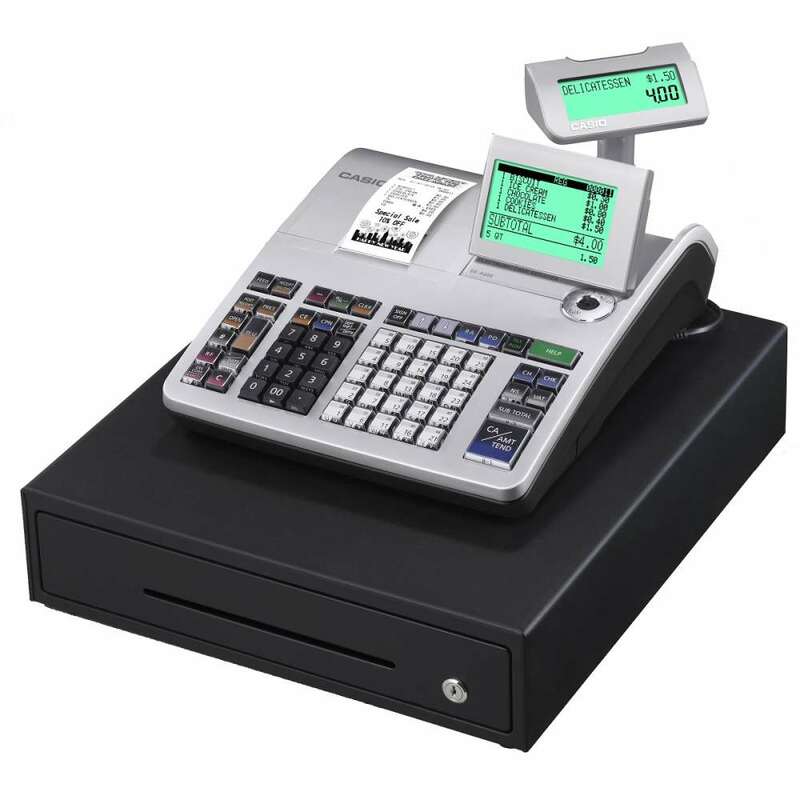 The Casio SE-S100 Cash Register is black in colour, has 12 Departments (24 using a department shift key) and you are able put your business details on the receipt. The SES100 is a stylish addition to your store decor that provides a choice of exquisite colours to enhance your store's appeal, plus all the functions you need for efficient business operation.